435 color + b-w illus. The significant collection of 19th-century French paintings at the National Gallery, London, includes many important works by artists associated with the Barbizon School. In addition to paintings by Courbet, Millet, and Rousseau, there are over twenty works by Corot, including the monumental Italian Woman, or Woman with Yellow Sleeve (L’Italienne) recently acquired from the estate of Lucian Freud. Works by Corot range from an early oil study made in Italy to late studio landscapes. 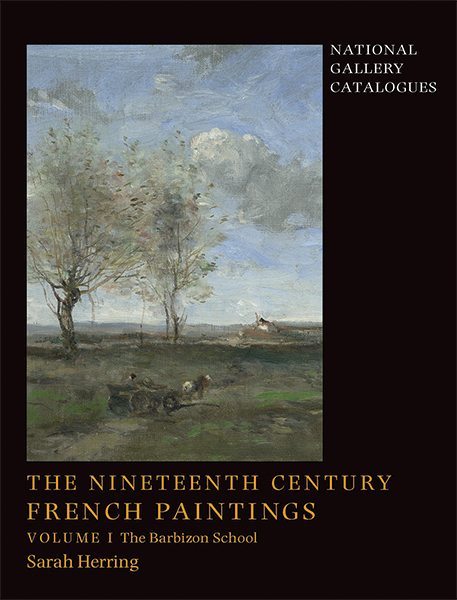 This meticulously researched and lavishly illustrated volume contains entries that examine all aspects of the paintings, from subject and stylistic significance to physical condition and conservation history. Setting the individual works within a broader context, essays explore the impact of plein-air practice; examine the relationship of the Barbizon School to the academic landscape painters and the Impressionists; and trace the history of the passionate collecting of these pictures in Britain well into the 20th century. Sarah Herring is Isaiah Berlin Associate Curator of Post-1800 Paintings at the National Gallery, London.